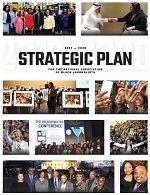 The National Association of Black Journalists (NABJ) values its relationship with affiliate chapters and their connection to the local communities they serve. In an effort to strengthen our relationships with our chapters, we will reach out periodically to request updated contact information. If your chapter has recently elected new officers or relocated, please help us to stay connected. Try our new and easy online Chapter Update Form. Simply, complete the form below to submit any changes to the national office. Please make sure the updated information is correct before you click submit. Once the changes are received and verified, the online chapter listing will be updated accordingly. Note this information will also be used to alert the chapters to upcoming deadlines and events. Please feel free to contact NABJ with any questions and/or additional information at 301-405-0554 or vdodson@nabj.org. Your comments and suggestions are always welcomed. 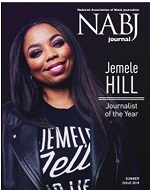 Thank you for your assistance and continued support of NABJ. Chapter Web siteIf your chapter has a Web site please provide us with the address. The Web site address will be listed in NABJ publications. President's Full Name *PROFESSIONAL CHAPTERS: The president and vice president(s) must be FULL NABJ members at the time of chapter renewal. The remaining officers must be NABJ members. STUDENT CHAPTERS: The president and/or board chairman and vice president(s) must be student members of NABJ. The student chapter advisor, must be a full-time journalism professor, a full member of NABJ, or a professor who is an associate member of NABJ. President's Head-ShotPlease provide us with your photo. We would like to showcase our chapter presidents in our publications and on the Web site. Board Member Roster *Roster should include full names, mailing addresses, and emails for all officers (Vice President(s), Treasurer, Secretary, and Parliamentarian). PROFESSIONAL CHAPTERS: The president and vice president(s) must be FULL NABJ members at the time of chapter renewal. The remaining officers must be NABJ members. STUDENT CHAPTERS: The president and/or board chairman and vice president(s) must be student members of NABJ. The student chapter advisor, must be a full-time journalism professor, a full member of NABJ, or a professor who is an associate member of NABJ. Membership status will be verified. Word document format requested. Vice Pres/Print-Full Name *PROFESSIONAL CHAPTERS: The president and vice president(s) must be FULL NABJ members at the time of chapter renewal. The remaining officers must be NABJ members. STUDENT CHAPTERS: The president and/or board chairman and vice president(s) must be student members of NABJ. The student chapter advisor, must be a full-time journalism professor, a full member of NABJ, or a professor who is an associate member of NABJ. Membership status will be verified. Vice Pres/Broadcast-Full Name *PROFESSIONAL CHAPTERS: The president and vice president(s) must be FULL NABJ members at the time of chapter renewal. The remaining officers must be NABJ members. STUDENT CHAPTERS: The president and/or board chairman and vice president(s) must be student members of NABJ. The student chapter advisor, must be a full-time journalism professor, a full member of NABJ, or a professor who is an associate member of NABJ. Membership status will be verified. Secretary-Full Name *PROFESSIONAL CHAPTERS: The president and vice president(s) must be FULL NABJ members at the time of chapter renewal. The remaining officers must be NABJ members. STUDENT CHAPTERS: The president and/or board chairman and vice president(s) must be student members of NABJ. The student chapter advisor, must be a full-time journalism professor, a full member of NABJ, or a professor who is an associate member of NABJ. Membership status will be verified. Treasurer-Full Name *PROFESSIONAL CHAPTERS: The president and vice president(s) must be FULL NABJ members at the time of chapter renewal. The remaining officers must be NABJ members. STUDENT CHAPTERS: The president and/or board chairman and vice president(s) must be student members of NABJ. The student chapter advisor, must be a full-time journalism professor, a full member of NABJ, or a professor who is an associate member of NABJ. Membership status will be verified. Parliamentarian-Full Name *PROFESSIONAL CHAPTERS: The president and vice president(s) must be FULL NABJ members at the time of chapter renewal. The remaining officers must be NABJ members. STUDENT CHAPTERS: The president and/or board chairman and vice president(s) must be student members of NABJ. The student chapter advisor, must be a full-time journalism professor, a full member of NABJ, or a professor who is an associate member of NABJ. Membership status will be verified. Advisor-Full NameSTUDENT CHAPTERS ONLY: The president and/or board chairman and vice president(s) must be student members of NABJ. The student chapter advisor, must be a full-time journalism professor, a full member of NABJ, or a professor who is an associate member of NABJ. Membership status will be verified.